Tamworth is now well on the way to its goal of becoming a dementia friendly community after the borough council officially became a member of the Staffordshire & Stoke-on-Trent Dementia Action Alliance. Dementia friendly communities aim to help people with dementia and their carers feel safe, supported and able to remain involved in community life. There are more than 100 dementia friendly communities in the UK – and Tamworth’s joining of the Dementia Action Alliance is another step along the road to joining their ranks and achieving dementia friendly status. Tamworth Borough Council's Chief Executive has drawn up an action plan setting out the work which will be done and the steps which need to be taken to achieve dementia friendly status. This plan has now been endorsed by the Alzheimer’s Society’s Staffordshire & Stoke-on-Trent Dementia Action Alliance. You can read our Action Plan here. Membership of the Dementia Action Alliance will allow Tamworth Borough Council to access dementia awareness training for the Council’s senior management team, frontline staff and all elected members, which is already under way. All the dementia awareness training session are free and have no cost to Tamworth Borough Council, individuals and businesses. 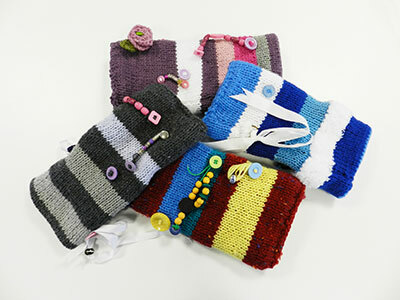 Find out more about the current campaign to encourage people throughout the borough to knit Twiddle Muffs, which will be distributed to people with dementia and organisations which help them. This year this takes place from Monday 21 to Sunday 27 May and many organisations throughout the borough are hosting events to help raise awareness and provide useful information. Calendar of events available to download here. Keep up-to-date by following the @DFC_Tamworth Twitter feed. Trained Helpline Advisors are here to discuss any of your concerns about all forms of dementia. Our opening hours are 9:00am – 8:00pm Monday to Wednesday, 9:00am – 5:00pm Thursday and Friday, 10:00am – 4:00pm Saturday and Sunday. Local service information and advice.